ShadowProtect Cloud MSP/Reseller license keys cannot be manually deactivated. You must open a support ticket with us and we will complete the deactivation for you. Open a ticket by sending an email to orders@efolder.net with the MSP license key serial numbers to be deactivated. We will log into the StorageCraft OEM portal for you and deactivate the software license. We will then update your Axcient Backup Portal activation count manually. After your license key has been deactivated and your activation count has been updated, we will reply to you with confirmation. We will work with StorageCraft to deactivate the software license. On the client’s machine, remove the StorageCraft (if desired) - ShadowProtect and ImageManager - and Online Backup Manager software. The ShadowProtect and ImageManager software can be left if the client will be backing up the machines using ShadowProtect. 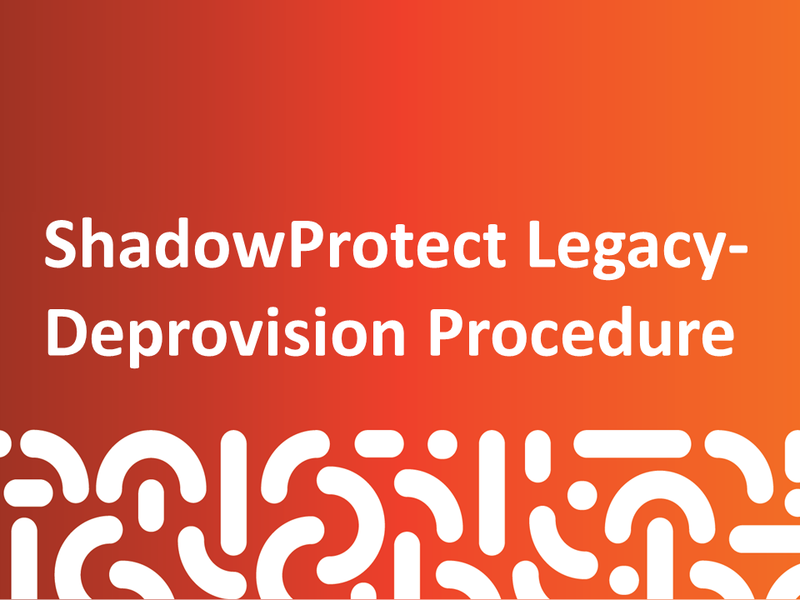 If you do leave the software, ensure that you remove any notification settings in both ShadowProtect and ImageManager that you might have configured. If the Online Backup Manager software is left on the machine, notifications configured through the install (not through the Portal) cannot be controlled from the Portal and could continue to be sent. Data is automatically purged 14 days after account deletion. Data can be purged sooner if preferred, using a manual approach. 1. Under the Accounts menu, select Account Center (Visual View). 2. Locate the specific customer account you wish to delete and click the checkbox in the left column to select that account. 3. Right click on the account to be deleted to display the submenu tools. 5. You will see a yellow bar at the top of the page indicating that you are impersonating that account. 7. Remove the check boxes to disable all notifications for this account and click Save. 8. Click Stop Impersonating on the top right to leave this account. 9. Right click on the account to be deleted to display the submenu tools again. 10. Click Delete from within the submenu tools to delete this customer account.